The ACT Government is delivering better healthcare, where and when Canberrans need it. We’re supporting more nurses and doctors to support you. We continue to future-proof our public health system to meet the needs of a growing city – with a focus on preventive health. Consulting with stakeholders and the community to support improved and new health infrastructure across Canberra. The Office for Mental Health and Wellbeing will work with stakeholders to create improvements to the mental health service system, support suicide prevention and work across the community to maximise the mental health and wellbeing of all Canberrans. Continued engagement with the community on the best ways to prevent and address chronic conditions and supporting Canberrans to make healthy and active living a way of life. Increasing awareness of a healthy lifestyle and reducing unhealthy behaviours. Informing expectant mothers about their options for care. Informing the community about their after hours health options. Informing the community about mental health support and services, and raising awareness and reducing stigma around mental illness. Increasing health literacy, and informing the community about existing and new ACT health services and care options across the spectrum of care. Enabling a public health care system where staff, including nurses, midwives and first responders, patients and visitors are protected from harm and feel safe at all times. The Government is investing in more and better schools because we want every Canberra school to be a great school. We continue to deliver public education for every child and young person in the ACT, regardless of their background or circumstances. We value every child and every educator. Working with government, non-government and community sectors to develop actions that will deliver the best education outcomes for our students. Under the future of education strategy promote accessibility and quality in the ACT’s early childhood education and care sector, including access to free quality early childhood education to all three-year-old children in the ACT. A new primary school in the Molonglo Valley to open in 2021 as part of the ‘more schools, better schools’ program. 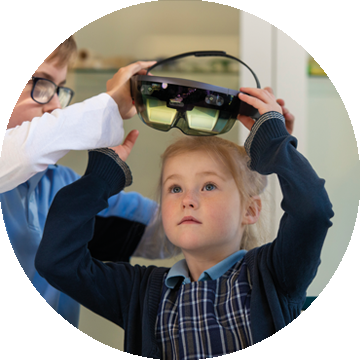 School refurbishments and specialist facilities to meet the needs of contemporary education including in the areas of STEM and Early Childhood. Promoting online enrolments and school open nights for public schools in the ACT. Preparation for back to school and new starters. Our city is growing, and that’s why we are investing in a better transport network to keep our city connected. 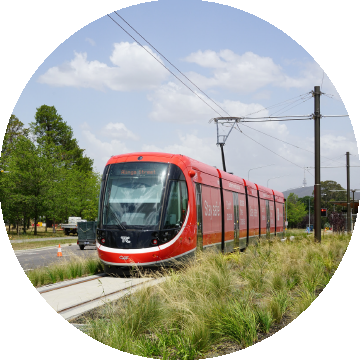 The ACT Government is building an integrated public transport and roads network to ensure Canberrans have a quick and reliable way of travelling around our city. The strategy provides a long-term vision for smart, sustainable, integrated transport for the ACT. Community comment will be invited to feed into the draft strategy and give feedback on the vision, principles and policy direction. Ongoing engagement with stakeholders and the communities along the proposed City to Woden Light Rail corridor. A campaign to educate the community on how to use the new Transport Canberra network of buses and the first stage of light rail. The ACT is leading the nation on our committment to move towards a sustainable future. We remain on path to reaching our goal of 100% renewable electricity by 2020. Consulting with the community to develop an innovative and achievable energy policy strategy which maintains the ACT’s leading role in climate change and energy policy. Engaging the community in the management of Canberra nature park. Implementing a vision that enriches the lives and livelihoods of a vibrant and healthy community, ensuring our natural and cultural heritage is valued and conserved. Canberrans will be consulted on key priorities in waste management including the outcomes of the waste feasibility study and the proposal to phase out single-use plastics and the development of the ACT Government’s position on Waste to Energy. Information on how to keep our waterways healthy. A range of information encouraging Canberrans to take simple actions to recycle, reduce use of electricity, wood heaters and single use plastic and look after the environment so we can adapt to our changing climate. Supporting our efforts for a clean and sustainable capital we will continue information campaigns to encourage better recycling and reduction in waste through green bins, Container Deposit and reducing illegal dumping. Informing the community about the actions we need to take as a community to address the challenges of climate change to 2050. The ACT has one of the fastest growing economies in the country. We are diversifying our economy to create more secure jobs – good jobs, for all Canberrans. A growing city means more opportunities for everyone. We are creating a great environment for Canberrans to live, learn, work and play. A range of discussions with community and stakeholders about the sharing economy including rideshare, short-term accommodation and other emerging industries. Community consultation and targeted stakeholder engagement to refine the Aboriginal and Torres Strait Islander Procurement Policy. Giving the community and stakeholders the opportunity to contribute their feedback on priorities for the ACT Budget. Annual survey to identify skills needs in the ACT. Informing the community about the programs, policies and services delivered by the ACT Government. Informing businesses about new requirements under the Secure Local Jobs code. Promoting reforms that are making it easier to do business with government. Promoting Canberra as a premier tourist destination year round. Promoting 330 + online transactions and services available for the community with Access Canberra. Making transactions easy and accessible. Canberra is an inclusive city for all Canberrans. The Government is committed to working toward a community where everyone can participate. We’re making sure support is there when Canberrans need it. Providing early support to people to enable positive life outcomes, enable active participation in community life and to enhance their wellbeing. Reviewing the interactions of Aboriginal and Torres Strait Islander children and young people in contact with the ACT child protection system to ensure Aboriginal and Torres Strait Islander Canberrans feel empowered to identify and lead local solutions. As part of the ACT Housing Strategy, we will continue our strong partnership with the community sector and continue to strengthen our response to homelessness by addressing services gaps, responding to emerging needs, improving pathways out of crisis accommodation and greater information sharing and coordination. Recognising and responding to the needs of Aboriginal and Torres Strait Islander people living in the ACT and surrounding region. Consulting with the community on the development of Canberra’s second Common Ground development in Dickson Section 72, to ensure all Canberrans have access to safe and affordable housing. Increasing awareness of the impact of family and domestic violence and informing Canberrans about what services are available to people experiencing family or domestic violence. Action against all forms of gender-based violence. Promoting understanding of, and support for, refugees rebuilding their lives in Canberra and celebrating the positive contributions made by refugees to Australian society. 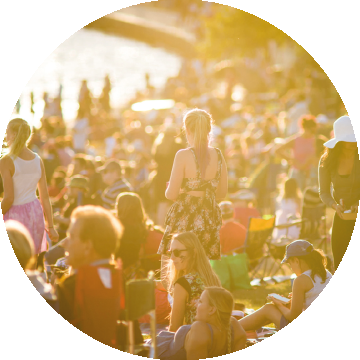 The ACT Government is committed to delivering better local services, events and opportunities to make Canberra even more lively and liveable. Continue to implement the recommendations of the Better Suburbs Statement, developed by a citizen forum to make improvement to city services. 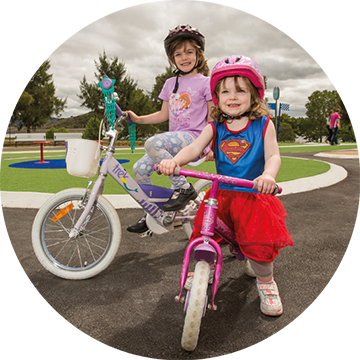 Continue community co-design activities to construct two new nature play spaces in Canberra; undertake suburb play spaces reviews in identified priority suburbs and deliver a ‘refresh and upgrade’ program on playspaces identified by the Better Suburbs Citizen’s forum. We’ll continue to work with the community on regulatory and other measures to keep our dogs and cats safe while protecting our environment and native animals. This will include a pet census to understand how many pets live in Canberra households. Consultative process to develop the ACT Multicultural Plan and LGBTIQ Strategy to strengthen our inclusive community. Developing a second action plan for the ACT Women’s Plan 2016–20, enhancing economic status, social inclusion, safety and wellbeing of women in Canberra. Monthly regional newsletter to households and inboxes. 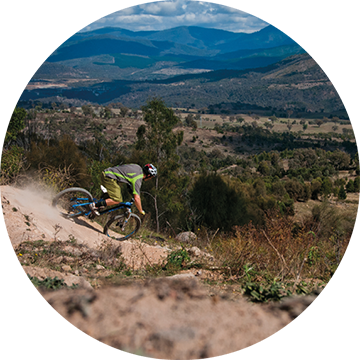 Promoting major events and activities to Canberrans and visitors. 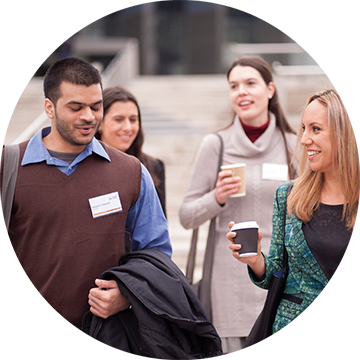 Promote the opportunity to get involved with the ACT government’s new online research platform and help shape government decision-making. Promote an active and diverse city centre that reflects and strengthens the character of the city. Promoting the new motor accident injuries scheme. 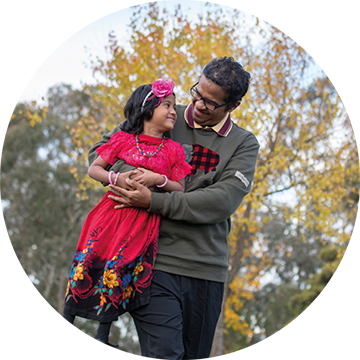 The INVOLVED website captures the ACT Disability Commitment to the National Disability Strategy and outlines the work progressed and progressing across the Territory to enhance inclusion of people with disability in our community. Keeping Canberrans safe in an emergency will always be a priority for the ACT Government. Engage with community and key stakeholders regarding the introduction of child safe standards for all organisations in the ACT to better protect our kids. Engaging with stakeholders to review a range of road safety measures. Involving the ACT community and key stakeholders in the review and redraft of the fourth version of the Strategic Bushfire Management Plan. Campaigns aimed at reducing the road toll and promoting safety on Canberra’s roads including a new graduated licensing scheme, sharing the road, and lane filtering. Inform Canberrans about the future of modern policing in Canberra. 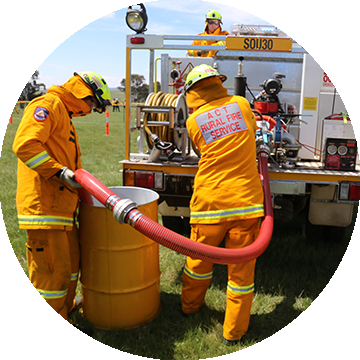 Encouraging Canberrans to prepare for bushfire season. Educating Canberrans on how to act in and prepare for storm season. This annual education campaign promotes safety at work to support workers returning home safely. Throughout the month high-risk industries such as construction, the health sector and hospitality/ retail receive targeted information, activities and advice. Broader education and information is also provided to all workers and the community to raise awareness and the importance of safety at work. Canberra is a great place to live and the ACT Government is committed to delivering an efficient city while protecting and enhancing the environment Canberrans’ value. Reviewing the Territory Plan to deliver a more outcome focused planning system. The facilitation of demonstration housing projects to test the viability of alternative housing models and innovation in design, delivery. Building community capacity, partnerships and active participation in the implementation of the city precinct renewal program. Working with the community to reinvigorate key sites in the Woden town centre, enhance amenity, and provide for the future needs of the community. Ongoing conversations to build a strong, connected community in the suburbs of Wright, Coombs, Throsby, Moncrieff and Taylor. Ongoing conversations to build a strong, connected community in Ginninderry. Grow and renew social housing to better meet demand. Provide a better customer experience through a modern a tenancy service that focuses on clients’ outcomes and a digital service platform for current and future social housing tenants. Informing Canberrans about government initiatives for housing in the ACT. The ACT Government will continue to strengthen the integrity of the building regulatory system in the ACT, with an extensive program of reforms. To support the reform program we will also improve access to information and educational tools on building laws and processes – including the roles, rights and responsibilities of each person in the building project. Public ballots, auctions and tenders for greenfield development and urban projects. Promoting the renewal of the city centre and its appeal as a place to live, work and visit. Our accessible, transparent and timely justice system is vital to ensure all Canberrans have access to the protections of the justice system. With stakeholders discuss and understand the implications of increasing the age of criminal responsibility. Developing projects and policies to stop the cycle of offending and make our community a safer and more inclusive city. Developing Canberra as a restorative city to support a ‘better Canberra’ by building a stronger, more resilient social infrastructure that embeds restorative approaches in exemplary interactions between government and the community. 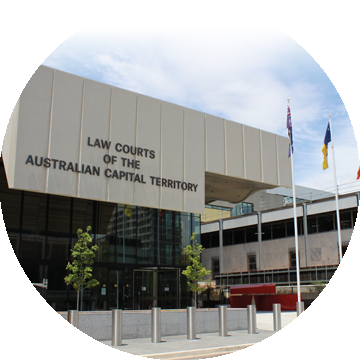 Reform tenancy laws and continue to provide information about changes to the justice system following implementation of recommendations of the Royal Commission into institutional child sexual abuse. Promote the Charter of Rights for Victims of Crime. Raise awareness to increase participation in the restorative justice scheme.